MADISON - A total of $75,000 in grants are now available under a new Department of Natural Resources initiative aimed at helping local governments, organizations and others recruit new anglers, particularly adult women and other groups underrepresented in the activity. The Angler Recruitment, Retention, and Reactivation (Angler R3) grant program will provide financial assistance to local governments, organizations and others who conduct Angler R3 programs and activities in Wisconsin. "This is a brand new opportunity that groups can use to shore up our angling heritage in Wisconsin," says Keith Warnke, R3 team leader. The DNR will award a total of $75,000 during this first grant cycle in 2018. The maximum award amount for each project will be $10,000. These grants will be administered as a reimbursement program and the DNR plans to accept grant applications only in even numbered years, according to Jill Sunderland, Angler (R3) Grant Manager. Tribes, municipalities, schools, community-based organizations, conservation organizations, individuals and local food organizations are among the entities eligible to apply for the grants. The deadline for applying electronically is Oct. 15, 2018. Find information about grant eligibility and application materials on the DNR website, dnr.wi.gov, by searching for Angler Recruitment, Retention and Reactivation Grant Program. The Recreational Boating and Fishing Foundation and partners, including state agencies like DNR, have embarked on an effort to grow participation to 60 million anglers in 60 months, by following recommendations for angler Recruitment, Retention and Reactivation (R3) efforts. More than twice as many Wisconsin adult residents fish - about 20 percent -- as the national average and Wisconsin's fishing license sales have increased over the past 15 years and now stand at about 1.4 million, according to a recent DNR study, "What the Evidence Suggests for the Future of Fishing and Hunting License Sales in Wisconsin [PDF]." But Wisconsin faces the same national trends of younger people spending less time outdoors, and concerns that there will not be enough new anglers in the future to replace anglers who discontinue participation as they age. Justine Hasz, Wisconsin's fisheries director, says the new grant program builds off DNR's Fishing for Dinner program and is part of the 60 for 60 initiative led by the Recreational Boating and Fishing Foundation (exit DNR) to increase the number of anglers nationwide to 60 million by 2021. 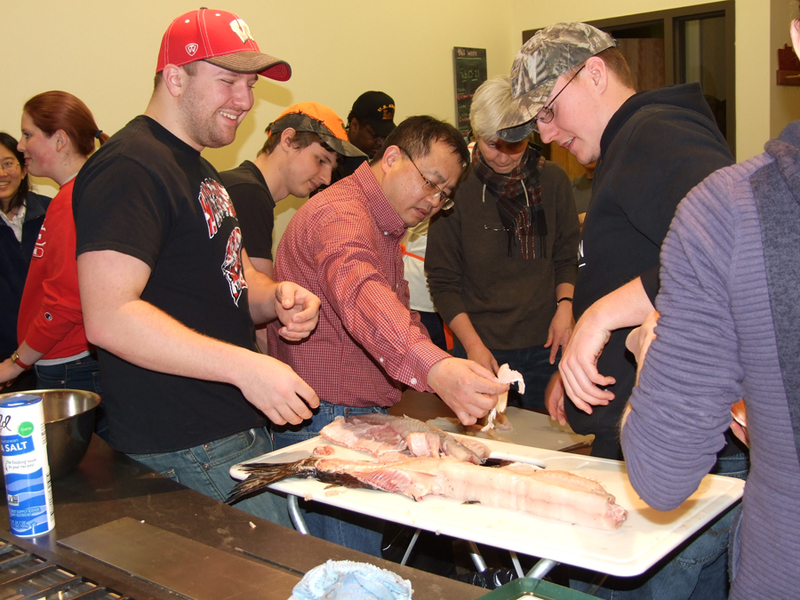 DNR's Fishing for Dinner program is aimed at adults and combines classroom learning, fishing with veteran anglers, and learning how to prepare their catch. "We're looking at new, innovative ways to introduce people and recruit them into fishing, especially people in the 18- to 35-year-old group," she says. "We're very excited to be offering our first grants and see people's ideas for bringing more people into this fun, family-friendly activity." Good air quality for Wisconsin on Wednesday, April 24, 2019 at 8:46 pm CT.